The owner of a facility that had formerly handcrafted solid brass and copper light fixtures was prepared to close the business when the Maine Department of Environmental Protection (MEDEP) completed an inspection with respect to waste management. They determined that the facility had been generating, storing, and disposing of hazardous waste in the form of metallic dust created when the fixtures were buffed. The dust contained high levels of lead, arsenic, and copper and it appeared that some dust had been vented outdoors. St.Germain Collins developed a cost-effective work plan for testing soil surrounding the building by using a portable field instrument supplemented by analytical samples. The 80 measurements / samples indicated that shallow soil exceeded the cleanup standards near the roof vents. The indoor building surfaces were also tested for metals using wipe samples and certain areas were found to exceed the applicable standards. 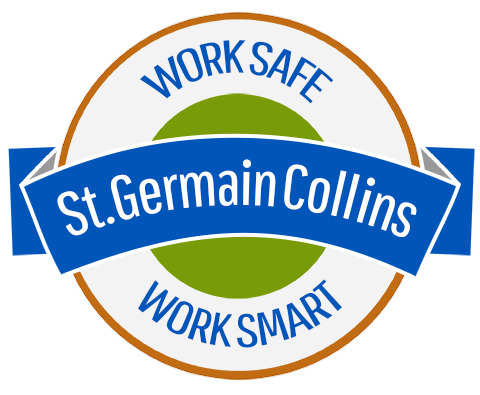 St.Germain Collins developed an outdoor remedial action plan consisting of shallow soil removal. The detailed sampling allowed the removal of discrete areas of contamination rather than large areas that may have areas without contamination. Indoor remediation consisted of washing exposed surfaces and repainting them with a sealant. The MEDEP approved these actions and the project was closed.